Biosphere Expeditions was founded in 1999 and is a citizen science wildlife conservation non-profit first and foremost. We empower ordinary people to make a positive difference to wildlife conservation and research through our international expeditions, working hands-on as environmental volunteers on wildlife conservation holidays all across the globe. The term "Biosphere" was coined by Russian scientist Vladimir Vernadsky in 1929 and is defined as "the part of the Earth's surface and atmosphere occupied by living things". This encompassing term, we believe, is a fair reflection of our mission. With our citizen science conservation expeditions we hope to make a small but significant difference to our biosphere and at the same time bring enjoyment and fulfilment to our environment volunteer teams. We do not run tours or just wildlife conservation holidays, but organise real conservation expeditions with genuine wildlife conservation aims that produce real results and achievements. Our wildlife volunteers can be secure in the knowledge that they will not only have an exciting conservation holiday with a purpose, but also a productive time in conserving part of our global natural heritage. Robin Johnson is from the UK, studied Ecology and Conservation at Imperial College London and Manchester Metropolitan University, and has worked for BirdLife International and the UN. Amongst many other conservation activities, he has trained park rangers in Guinea; improving methods for counting parrots, to better inform their conservation; and built local capacity for conservation through targeted funding. Robin has worked in several African countries and currently lives in Transylvania (Romania), to have some of the finest nature in Europe, and enviable opportunities for outdoor pursuits, on his doorstep. Robin is a qualified mountain guide and is keen on hiking, climbing, ski touring, mountainbiking and birdwatching. An Bollen was born in Leuven, Belgium, where she studied biology and completed a PhD in tropical ecology. At age 18, An went on a year-long exchange programme with a local family in Ecuador, sparking her passion for travel and exploration. An has worked for over 15 years in biodiversity conservation in the tropics, both in tropical rainforests as well as on coral reefs and often working closely with local communities. She has a soft spot for islands and called both Madagascar and the tiny island of Principe, off the west coast of Africa, home for a while. An has also organised and lead research expeditions on several occasions during her career. An is passionate about the underwater world, an amateur photographer and very much an outdoor, nature-loving person. Lucy Marcus was born in California and gained a love for marine environments when she started diving in Belize at the age of ten, and later became a scientific research diver whilst a student of Environmental Studies at the University of California, Santa Cruz. Lucy then completed a Masters in Marine Biology at James Cook University in Australia, where she became fascinated with underwater videography. She has worked as a guide in Costa Rica, Cuba and U.S. National Parks, and as a PADI dive instructor in Hawaii, and volunteered in the US Virgin Islands, and sailed from New Zealand to the Solomon Islands on a marine conservation expedition. When not working as an expedition leader, Lucy enjoys the winters in the snowy mountains of California and spends her summers guiding hiking and kayaking tours from a small cruise ship in Alaska. In her free time Lucy loves to snowboard, surf and travel in remote locations. She has her captain’s license and Wilderness First Responder certification. Ida Vincent grew up in Sweden and lived in Australia for ten years before moving to Seattle in the USA. Ida studied Marine Biology at the University of Queensland and Environmental Science at Murdoch University (both in Australia), finishing with BSc and Masters degrees respectively. Ida has worked as a marine scientist and aquatic ecologist in Madagascar, Papua New Guinea, the Philippines, Australia and the Pacific Northwest in the USA. She is also a qualified PADI divemaster, Reef Check trainer, as well as a climbing leader and instructor with the North Cascade Mountains as her backyard. Ida also enjoys photography, painting and writing. She has published both scientific and magazine articles about alpine climbing, as well as a murder mystery novel. Peter Schuette was born in Germany and studied geography and geoinformatics at the Universities of Bremen (Germany), Gothenburg (Sweden) and Salzburg (Austria). He has worked in this field for several international mapping and remote sensing projects, one of which involved him in wildlife conservation in Namibia, where he was a member of Biosphere Expeditions’ team of local scientists and was promptly bitten by the wildlife expeditions bug. Since this affliction, Peter has led expeditions in Namibia/Caprivi, Altai, Oman and Slovakia for Biosphere Expeditions. In his other life, Peter is responsible for a visitor centre for environmental education run by the German Nature and Biodiversity Conservation Union (NABU). He is also engaged in finding solutions for the human/predator conflict caused by wolves returning to northern Germany. Peter holds First Aid and Off-Road driving certificates. Ronald Seipold graduated from the University of Berlin with a Masters Degree in Business Administration and then spent several years working in different branches of industries leading organisational and IT related projects. He then decided to go for a total change of career & lifestyle and focus on his passion for travelling, wildlife and the outdoors. After a 100 day intensive training course with COLT (Canadian Outdoor Leader Training) he qualified as an outdoor leader, radio operator, sea kayak and canoeing guide, backcountry first-aider, etc.. Ronald then began leading and instructing groups in the outdoors primarily in Scandinavia and Canada as well as working for outdoor camps and lodges. 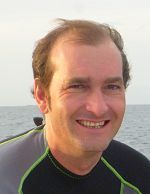 Ronald joined Biosphere Expeditions in 2007. His favourite activities are mountaineering, canoeing and climbing. Paul Franklin was born in Oxford and studied zoology at Swansea University. His Masters Degree was based on research of the migratory behaviour and ecology of amphibians. After graduation Paul spent a year working as a naturalist guide in the Peruvian Amazon. There, among other things, he was bitten by the travel bug. Since then he has led many expeditions and treks to far flung corners of the globe. Travels overseas have been interspersed with time spent in the UK working, among other things, as a Nature Reserve Warden and Environmental Consultant. Never far from a camera, many of his wildlife and travel images have been published in magazines and books. When not travelling on foot through the world's wild places his preferred modes of transport are a kayak, mountain bike or occasionally a horse. Rossella Meloni was born in Italy and has lived and worked in the UK for 12 years before experiencing life further afield by living in Muscat (Sultanate of Oman) and Seoul (South Korea). Rossella studied languages in Italy and gained a BSc in Computing and Information Systems from the University of Portsmouth. Since her first cautious breath underwater, well over a decade ago, she has become increasingly interested in the beauty and welfare of the underwater world. Her love for the marine environment and the outdoors encouraged her to join her first marine expedition in 2006 spending 6 weeks in a remote coastal village in Madagascar and later to continue training as PADI Open Water Diving Instructor. Her passion for diving and nature has led her to volunteer in remote areas of the world and eventually to lead expeditions with Biosphere Expeditions. When she is not busy tinkering with technology, leading expeditions, volunteering or supporting environmental causes, she can be found exploring the outdoors and pursuing new adventures. She is also a City & Guilds trained photographer, a RYA competent crew, a keen kite surfer and a qualified Emergency First Response trainer. Catherine Edsell was born in the UK into a family of mountaineers, skiers and adventurers. With wanderlust in her blood she left England in 1997 and set off to the jungles of Central America and Indonesia, lived in the Himalaya with locals, trekked through the Namib desert in search of elusive elephants and dived the oceans surveying coral reefs. Her passion for conservation grew as she sought out and trained with expedition organisations that echoed her ecological beliefs, and for seven years straight, her feet barely touched British soil as she lived the expedition life in all manner of terrains. In 2014 Catherine was awarded a fellowship of the Royal Geographical Society for her continued contribution to conservation through expedition work. She is also a mountain leader, PADI Divemaster, coral reef ecologist and Reef Check trainer, and has led in the Azores, the Maldives and Musandam for Biosphere Expeditions. When not on expedition, Catherine teaches yoga, rock-climbs and dabbles in the flying trapeze. Craig Turner was born in Oxford, England. He studied biology, ecology and environmental management at Southampton, Aberdeen and London universities. Soon after graduating from his first degree, he left the UK for expedition life in Tanzania. Since then, he has continued to combine his interest in travel and passion for conservation, working with a wide range of organisations on projects and expedition sites in the Americas, Africa, Asia and the Pacific. He has managed expedition programmes for the Zoological Society of London, and is a frequent contributor to the ‘Explore’ conference held by the Royal Geographical Society (RGS). He is a Fellow of the RGS and the Linnean Society. Having visited and/or worked in more countries than years have passed, he now runs a small environmental consultancy with his partner, based in Scotland, where he splits his wildlife interests and work between the UK and overseas. He also crews for the RNLI and is casualty care trained. He is ever keen to share his exploits, writing for several magazines, and is a published photographer. Anthony Lyons is a qualified mountaineer, as well as a bushcraft and wilderness survival instructor. He has worked for the British Antarctic Survey at the polar Halley Research Station, and has run numerous expeditions across all sorts of terrains and environments on all continents. His expedition work focuses on conservation citizen science, reforestation and building projects with disadvantaged communities. When not on expedition, Anthony likes to ride around in the mud on his mountain bike and writes short stories. Pascal Tchengang was born in Paris, but his roots go back to Guadeloupe and Cameroon. He is a business school graduate, living and working in Paris, and he has travelled extensively all around the world. He first discovered Biosphere Expeditions on a French TV documentary and went on expedition to Namibia. In the Paris agency Pascal is in charge of communication and administration, but he also joins expeditions in the field whenever his time allows. Malika Fettak is half Algerian, but was born and educated in Germany. She majored in Marketing & Communications and worked for more than a decade in both the creative department, but also in PR & marketing of a publishing company. Her love of nature, travelling and the outdoors (and taking part in a couple of Biosphere expeditions) showed her that a change of direction was in order. Joining Biosphere Expeditions in 2008, she runs the German-speaking operations and the German office and leads expeditions all over the world whenever she can. She has travelled extensively, is multilingual, a qualified off-road driver, diver, outdoor first aider, and a keen sportswoman. Libby Ross was born in Australia and educated in Australia, Switzerland and England in areas as diverse as French/cooking/secretarial (Switzerland), Montessori Teacher Training (London) and PR Marketing (Melbourne). After spending her first few years after high school studying and travelling overseas, Libby settled back in Australia and worked in Montessori teaching before focusing on a PR career and running various businesses. Married with three grown-up children, Libby has continued to travel whenever the opportunity arises (both for work and pleasure) and enjoys volunteer surf lifesaving, competition ocean swimming, riding, travelling and outdoor adventures with a purpose. She is and always has been a passionate advocate for animal conservation. Donna Evans was born and educated in the USA and joined Biosphere Expeditions in 2011. With degrees in Mathematics and Travel & Tourism to her name, Donna spent the first years of her career as a flight attendant before becoming a travel agent in the 1990s. Donna has travelled extensively throughout the US, all seven continents and nearly 100 countries. Donna is also an adventure travel specialist with numerous trips to off the beaten path places such as Madagascar and Oman, where she first came across Biosphere Expeditions before becoming our North American Operations Manager. Kathy Gill is a founding member of Biosphere Expeditions and has been there since the start in 1999. Kathy was born and educated in England. Since gaining her BA in Business at Bristol, she has worked in sustainable development and regeneration for a variety of public sector organisations, most recently the Regional Development Agency for the East of England where she was responsible for developing and supporting partnership working to establish sustainable development activities. At the main office Kathy is the organisation's Stretegy Adviser. She has travelled extensively, led expeditions and recceed projects all over the world. She is a qualified off-road driver, divemaster, marathon runner, keen walker, sailor, diver and all round nature enthusiast. 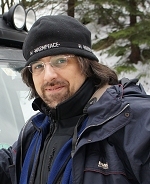 Biosphere Expeditions was founded in 1999 by Dr. Matthias Hammer. Born in Germany, he went to school there, before joining the Army, and serving for several years amongst other units with the German Parachute Regiment. After active service he came to the UK and was educated at St Andrews, Oxford and Cambridge. During his time at university he either organised or was involved in the running of several expeditions, some of which were conservation expeditions (for example to the Brazil Amazon and Madagascar), whilst others were mountaineering/climbing expeditions (for example to the Russian Caucasus, the Alps or the Rocky Mountains). With Biosphere Expeditions he has led teams all over the globe. He is a qualified wilderness medical officer, ski instructor, mountain leader, divemaster and survival skills instructor. Once a rower on the international circuit, he is now an amateur marathon runner and Ironman triathlete. Alfredo Dosantos Santillán was born in Iquitos, Peru, and graduated in Biological Sciences at the National University of the Peruvian Amazon at Iquitos. 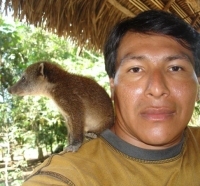 Alfredo has worked for several conservation projects and has played a role in the creation of three protected areas. He has also acted as a consultant for WWF at the Yurua River Project and for The Wildlife Conservation Society at the Pacaya Samiria National Reserve monitoring wildlife key (indicator) species, and at the Yavari River Project monitoring primate population. He works actively for the preservation of the Amazon forest and the cultural patrimony of different ethnic groups in many different locations in the Peruvian Amazon. 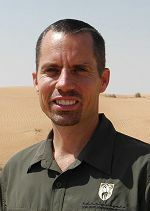 Greg Simkins, who is South African by birth, is the Conservation Manager for the Dubai Desert Conservation Reserve (DDCR) and has worked in the field of conservation and protected areas management since 2001. Greg began his career as a field guide in 1999. In 2001 he became a Reserve Officer in the DDCR and was heavily involved in the planning and implementation of eco-tourism activities within the protected area, which was created in 2003. In 2003 Greg took on his current role and was appointed Conservation Manager for the DDCR. He is now responsible for the overall management of the Reserve and has been at the forefront of its development from conception in 2003 to its current international recognition. He also plays a major role in conducting key conservation research studies throughout the DDCR. Prior to coming to the Middle East, Greg studied at the University of Natal, Pietermaritzburg in Kwazulu-Natal, where he also did graduate work, including resource assessment and allocation for a farm, soil surveys and research at an ostrich export farm in the Eastern Cape. Lisa Steiner graduated in Marine Science in 1988 at University of Miami and joined the IFAW (International Fund for Animal Welfare) cetacean research vessel “Song of the Whale” two weeks later, which at the time was based in the Azores. Since then Lisa has spent all her summers working on cetaceans around the Azores and at other times has also studied them in Alabama, Hawaii, Cape Verde, Bermuda, Scotland and Madeira. She has published numerous research papers on cetaceans. 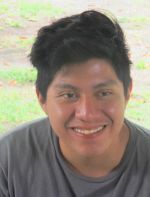 Fabian Carrasco is the head scientist for this expedition and is the on-site biologist at the Pacuare site. He has dedicated much of his career to sea turtle research and conservation, and was previously a research assistant at Pacuare. Fabian has a Bachelor of Science in Biology from the Universidad Autónoma of Morelos, México. Fabian worked with three species of sea turtle in México before joining LAST in 2016. Fabian is a fully qualified first aider and speaks both English and Spanish. Peter Schütte was born in Germany and studied geography and geoinformatics at the Universities of Bremen (Germany), Gothenburg (Sweden) and Salzburg (Austria). 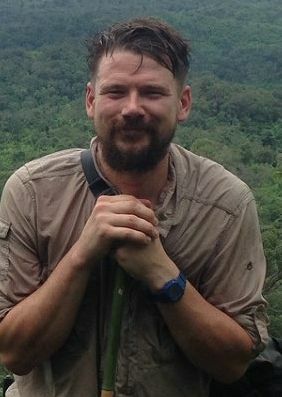 He has worked in this field for several international mapping and remote sensing projects, one of which involved him in wildlife conservation in Namibia, where he was a member of Biosphere Expeditions’ team of local scientists and was promptly bitten by the wildlife conservation expeditions bug. Starting in 2004, Peter has led expeditions in Namibia/Caprivi, Altai, Oman and Slovakia for Biosphere Expeditions. Working on cheetahs, leopards and lions in Namibia, he gathered experience in the field of human-wildlife-conflicts. Back in his native Germany, Peter is now working to gain acceptance for the return of wolves to the country. He is involved in wolf monitoring and working on solutions for the protection of livestock. Dr Emma Stone is the expedition lead scientist. 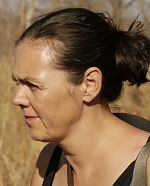 Emma is the founder and director of Conservation Research Africa (CRA) and Head of Wildlife Research at Lilongwe Wildlife Trust (LWT), based in Malawi. Both CRA and LWT are the leading research organisations in Malawi conducting projects across the country in partnership with the Department of National Parks and Wildlife. CRA/LWT established the Vwaza Marsh Research Project and Centre from where they conduct a variety of specific research projects including bats, primates and carnivores in the surrounding area. Dr Stone is an Honorary Fellow at the University of Bristol and Cardiff University (both in the UK) and a Fellow of the Royal Geographical Society. Emma has over twenty years experience of conducting biodiversity surveys in Africa, has 411 citations (H-Index 6), published two book chapters and over 15 papers in high impact journals including Current Biology and Global Change Biology. Alvin Chelliah graduated with a Marine Science degree from the University of Malaysia Sabah and a Masters Degree in Marine Science from the National University of Malaysia. He started working with Reef Check Malaysia in 2011 and is mainly involved with the training of EcoDivers and conducting Reef Check surveys. He has been diving since he was in high school and is a PADI Divemaster. Dr. Jean-Luc Solandt is a Londoner with a degree in Marine Biology from the University of Liverpool. After graduating, he spent a year diving on the Great Barrier Reef assisting field scientists in studies on fisheries, and the ecology of soft corals and damselfish. He returned to the UK and enrolled in a Ph.D. in sea urchin ecology in Jamaica, based both in London and Jamaica. He went on to be an expedition science co-ordinator for projects in Tanzania, the Philippines and Fiji, and is now undertaking campaign and policy work in planning and developing Marine Protected Areas in the UK. He has been the Reef Check co-ordinator for the Maldives since 2005, and has thus far led three expeditions to undertake surveys inside and outside Marine Protected Areas on the islands. Jean-Luc has 800 dives clocked up since he trained to be a marine biologist 20 years ago. Dr. Alan Lee, the expedition’s field scientist is an honorary research associate at the Percy FitzPatrick Institute of African Ornithology (University of Cape Town), editor of Ostrich: African Journal of Ornithology, and currently works for BirdLife South Africa surveying avifauna of the Karoo biome in South Africa. In 1996, he graduated from the University of Witwatersrand with an Honour’s Bachelor’s Degree in Botany and Zoology. While working and travelling from London he obtained a Diploma in Computing in 2001. He then commenced a period of seven years in Peru, first working for a volunteer project investigating impacts of tourism on Amazonian wildlife, and then from 2005 to 2010 he undertook a Ph.D. on the parrots of the Peruvian Amazon. Biosphere Expeditions part-financed and contributed data to the Ph.D. resulting in various peer-reviewed publications. In 2011 Alan set up the Blue Hill Escape guest establishment on the Blue Hill Nature Reserve with his wife, Anja, and parents Chris and Elaine Lee. From 2012 to 2015 he was a post-doctoral research fellow at the University of Cape Town researching the status of the endemic birds of the fynbos. Tomas Hulik is a wildlife film maker, photographer and environmentalist. He graduated from the Faculty of Natural Sciences at the University of Komensky, Environmental Department in Bratislava. He has participated in scientific and photographic expeditions to the Far East of Russia, to the island of Sakhalin, as well as to Borneo and Malaysia. Next to his work as a biologist, he also works in environments such as television, either as a cameraman or as a producer. His films “Hulik and the beavers”, “High Tatras – wilderness frozen in time” and “Miloš and the lynxes” were distributed worldwide. His last project “Miloš and the lynxes” has brought him back to science. Working in lynxes and other big predator conservation and trying to establish the size of lynx and wolf territories, as well as the ecology of these carnivores, in the Veľká Fatra and Mala Fatra National Parks. 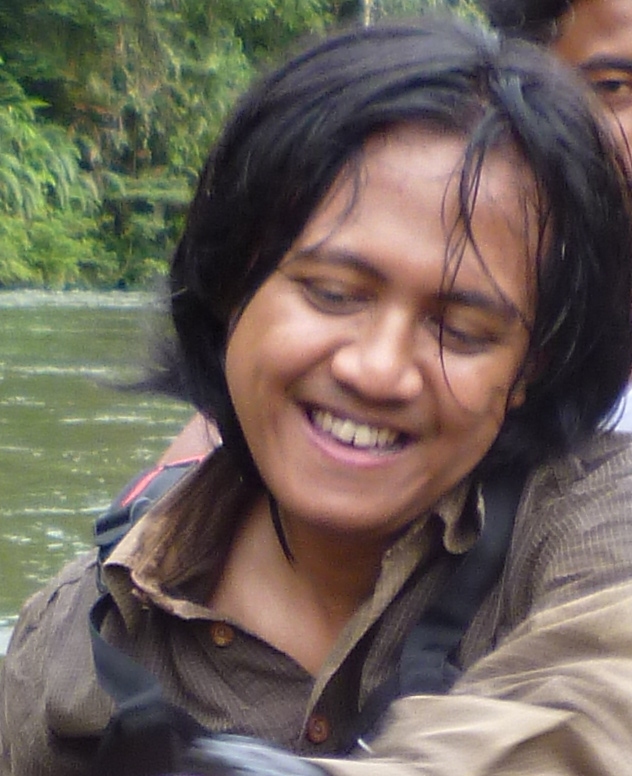 Febri A. Widodo is WWF’s tiger research programme coordinator. His BSc, majoring in nature forest conservation, is from Gajah Mada University in his native Indonesia. As WWF Indonesia’s tiger research coordinator, he organises tiger research mainly by capture-mark-recapture methods in various landscapes throughout Sumatra. He is a member of the HarimauKita Sumatran tiger conservation group and has experience in jungle survival, search-and-rescue and ecotourism. Volodya Tytar was born in 1951 and his Master’s Degree in Biology is from Kiev State University. At that time he first experienced the Altai mountains and wrote a paper on the ecology of the brown bear in the Altai. He then pursued a career as an invertebrate zoologist before shifting towards large mammals and management planning for nature conservation. Apart from the Altai, he has worked with Biosphere Expeditions on wolves, vipers and jerboas on the Ukraine Black Sea coast and has been involved in surveying and conservation measures all his professional life. Biosphere Expeditions started in 1999 as one of those famous "in the shower" ideas. Our founder, Matthias Hammer, with a military career behind him, some student expeditions under his belt and disillusioned with the ivory tower mentality of academia, was looking for a way to combine his training as a biologist with some real-life, hands-on conservation work. When someone suggested "why don't you take people on expedition with you", the idea for Biosphere Expeditions was born in the shower one day soon after. It took a year to set up Biosphere Expeditions as a non-profit organisation in the UK and another year to recruit the first expedition team. The first expedition ran in 2001 to Poland, studied wolves of the Carpathian mountains and was instrumental in establishing a wolf hunting ban there. Demand was high and many expeditioners, once bitten by the bug, came back for more, so the expedition portfolio quickly increased to include Peru and the Azores, two expeditions still running today. More expeditions were added, the Friends of Biosphere Expeditions came into being, corporate partners were found, awards won, and the media took a great interest in Biosphere Expeditions. The German office opened in 2002, followed by France in 2004, North America in 2006 and Ireland in 2017. In 2018 the HQ moved from the UK to Ireland in Biosphere Expeditions' very own Brexit in the wake of the UK's increasingly anti-European and nationalistic agenda. In 2007 a new website was created and Biosphere Expeditions diversified to offer 2-week expeditions and 1-week projects across the globe, as well as experience days in the UK and Germany. In 2014 this completely re-designed website was launched to reflect and showcase the many areas that Biosphere Expeditions is now active in from conservation to capacity-building to involving local communities. Another overhaul of the website in 2018 saw the expeditions portfolio grow to 14 and the achievements stretch over four continents. Next to this cornucopia of awards, Biosphere Expeditions became an officially accredited member of the United Nations Environment Programme's (UNEP) Governing Council / Global Ministerial Environment Forum and the International Union for the Conservation of Nature (IUCN). To date Biosphere Expeditions has sent thousands of people into the field and this number continues to grow as the years go by. We are proud to send people from all over the world on expeditions across the globe, making a small but significant contribution to conserving our biosphere.